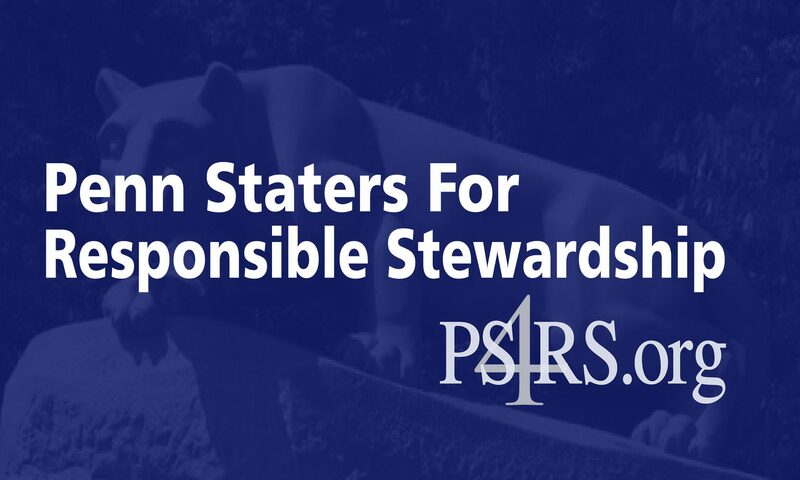 Penn Staters for Responsible Stewardship (PS4RS), with more than 100,000 members nationwide, was formed to promote positive change within the University Board of Trustees, demanding transparent, trustworthy leadership. For further information on PS4RS, please visit http://www.PS4RS.org, email ps4rsinfo@ps4rs.org, or go to http://www.facebook.com/PS4RS. Follow PS4RS on Twitter at @PS4RS.